Loving your name on the front tyre. Last edited by bornreadybc; 11-22-2007 at 01:47 PM. RR's are really good lookin bikes. you guys got some nice ones.. ya say they all run hot. Do you guys hotwire the fan on ? and it still runs at 230? mine F4i usualy stays at about 202.If it goes up to 215 I hit 3rd for a trip across the lot. mine runs especially hot, i think my fan is startin to go. 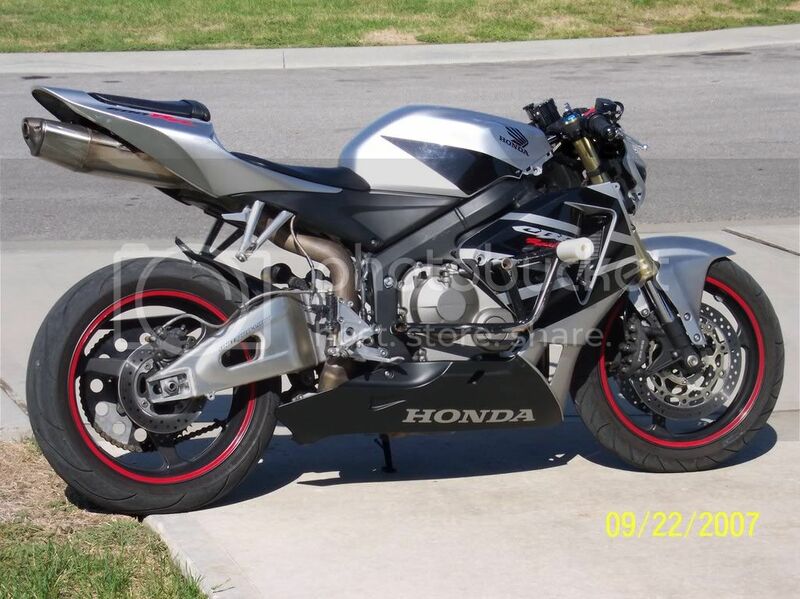 its makin some noise and doesnt seem to be pushing air like it used to, especially compared to my friends 06 600rr. its usually about 215-220, his is usually about 205-215. Fan kicks on at 220 for both. If im stopped at idle for more than 15 seconds, my temp skyrockets to like 230 within 30 seconds before it slows climbing. I dont hotwire my fan cause itll go out that much faster. Like you said though, when it gets to hot, its nothing a couple trips across the lot cant fix. Last edited by HollywoodStuntz; 11-29-2007 at 03:43 AM. 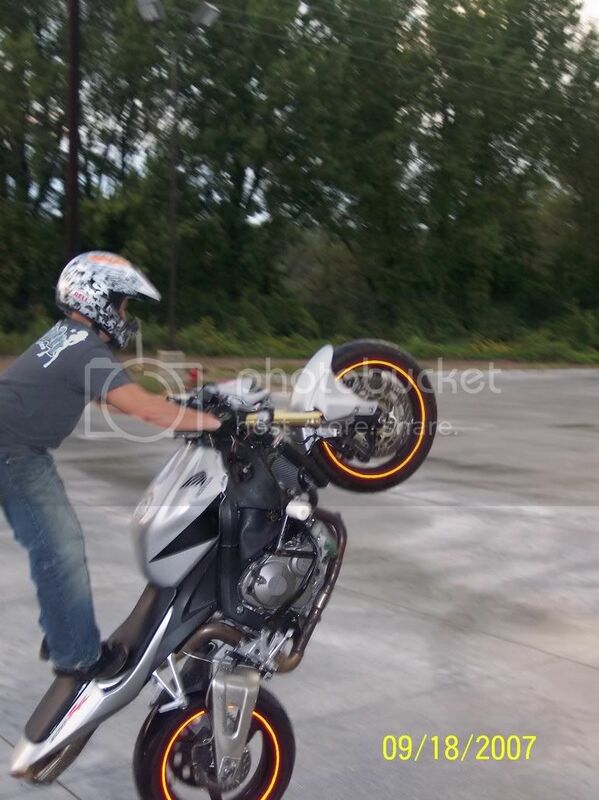 Im still learning to stunt, and this bike has just been fantastic to learn on! Last edited by TheRomanSF415x; 12-02-2007 at 05:44 PM. I did it to my friends 08, just took an old tail-light from my parts bin and jammed it in..lol didnt even have to cut anything really. Thanks! But it will be full fairing next session!